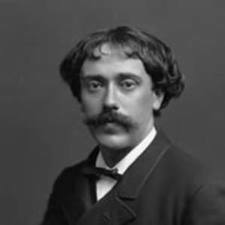 Pablo Sarasate was born in Pamplona, Navarre, Spain. His musical talent was obvious from early on. His father was an artillery bandmaster and taught the five year old Sarasate violin. 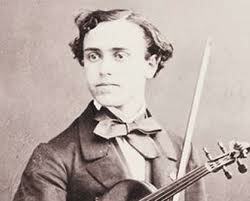 At the age of eight he performed in public and caught the attention of a wealthy patron who provided the funding for Sarasate to study in Madrid under Manuel Rodriguez Saez. He developed fast and was sent to study with Jean Alard at the Paris Conservatoire at age twelve. On the way there his mother had a heart attack and died and Pablo was discovered to be suffering from chloera. The Spanish consul at Bayonne took Pablo into his own home until he recovered and then financed his trip the rest of the way to Paris. When Pablo auditioned, Alard immediately saw his talent and he was accepted on the spot. At the age of seventeen, Sarasate entered a competition for the Premier Prix there and won first prize, the Conservatoire's highest honour. 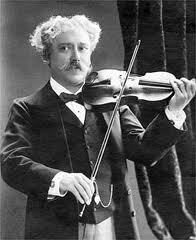 In 1860 he made his debut as a concert violinist and played in London the following year. He toured all over the world during his lifetime performing opera fantasies and pieces that he composed. His compositions reflected Sarasate’s distinct Spanish flavor and many composers incorporated that feeling into music that they wrote specifically for him, for example Edouard Lalo’s Symphonie Espagnole, Georges Bizet’s Carmen and Camille Saint-Saens‘ Introduction and Rondo Capriccioso. George Bernard Shaw once said that though there were many composers of music for the violin, there were but few composers of violin music. 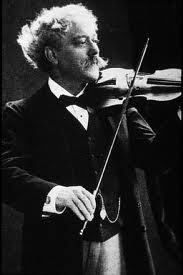 He also stated that Sarasate’s talents as performer and composer, “left criticism gasping miles behind”. Indeed Sarasate’s Zigeunerweisen is still an orchestra standard and his volumes on Spanish dances for violin and piano has been loved and played for generations. In 1904 he made a small number of recordings. He also made sure that he returned to Pamplona every year for the San Fermin festival and now, the Pablo Sarasate International Violin Competition is held in Pamplona every year as well. 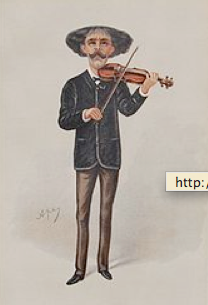 Sarasate was always impeccably dressed, a true Spanish gentleman. He received thousands of love letters in his lifetime but remained a bachelor until his death in 1908. He used to keep a supply of Spanish fans to present to his wome.n admirers after concerts. He played on a violin made by Antonio Stradivari in 1724, which is now called the Sarasate Stradivarius and was given to the Musee de la Musique by Sarasate at his death. His second Stradivari violin, the Boissier of 1713,is owned by the Real Conservatorio Superior de Musica Madrid.